From Twin Sails Brewing in Port Moody comes their “You Gonna Eat That?” a Black Forest Cake stout. The beer pours a deep brown colour with a brown head. The aroma consists of chocolate, mild roast, cherry and some sweetness. 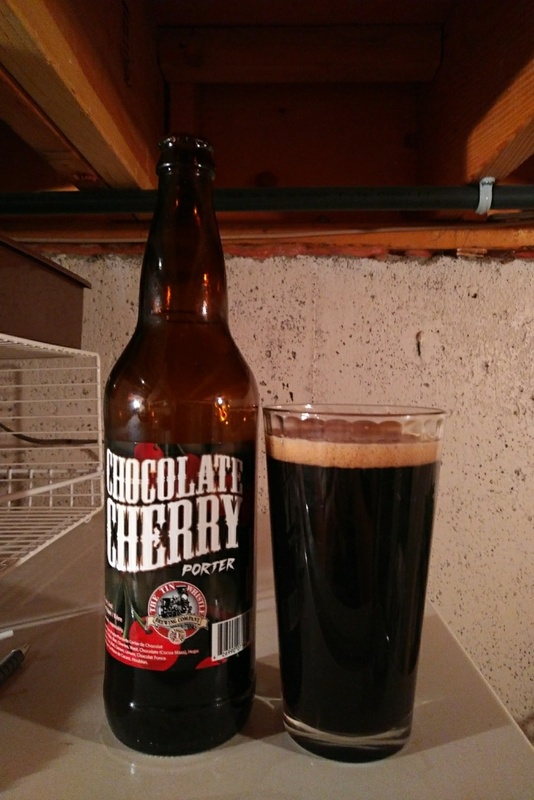 The flavour is of cherries, chocolate, mild roast, earth, creamy with a mild bitterness. The alcohol content comes in at 8.2%. I personally really like the pastry stout and this one was defiantly enjoyable. Leave a comment Posted in Imperial, Stout Tagged bc, black forest cake, black forest cake stout, canada, cherries, cherry, chocolate, craft beer, creamy, earth, hopped, hops bitter, hops bitterness., imperial stout, indie beer, mild bitter, mild bitterness, mild roast, mild roasted, port moody, roasted malt, roasted malts, stout, twin sails brewing, you gonna east that?